Studying the baking and pastry arts will teach you all the techniques you need to make treats that delight people of all ages at any time of year. Still, when Christmas Eve rolls around, you’ll want to prepare the perfect plate of cookies to please Old Saint Nick and any of his helpers that might happen to pass by the dining room table. The key to making holiday cookies that are just as fun as they are tasty is royal icing. Learn to make this beloved decorative topping with just a few simple ingredients. Then, follow a classic approach to bake a fantastic batch of treats just in time for the holidays. Preparing royal icing is easy, as Alton Brown demonstrated with his recipe. Use a stand mixer to combine three ounces of pasteurized egg whites with a teaspoon of vanilla extract. When you have a frothy mixture, throw in four cups of powdered sugar and mix at low speed. Once the sugar is incorporated, increase the speed and beat for five to seven minutes, until shiny peaks develop. If you want to bring an appealing hue to your cookies, add food coloring. Move the icing into a pastry bag for use or keep it refrigerated in an airtight container for up to three days. Nothing says Christmas quite like a whole gaggle of fun and perfectly spiced gingerbread men. Genius Kitchen provided directions that will make this holiday dessert tradition more exciting than ever. Start by whisking together flour, baking soda, baking powder, ginger, cinnamon, cloves and salt. In a separate bowl, use an electric mixer at medium speed to beat butter, dark brown sugar and a large egg. Then, mix in molasses, vanilla and lemon zest. Stir the dry ingredients into the wet until they are fully blended. Split the dough in half, covering each part in plastic wrap. Rest at room temperature for two to eight hours. Set the dough on a floured surface, sprinkling more flour over the top. Roll out to a quarter-inch thickness. Cut out pieces with a cookie cutter. Set the cookies on baking sheets lined with parchment paper, leaving about 1.5 inches between them. One at a time, place the sheets in an oven set to 375 degrees Fahrenheit for seven to 10 minutes each. The longer the cookies bake, the firmer they’ll be. Move cookies onto a wire rack to finish cooling. Then, put the finishing touches on your gingerbread men by decorating with royal icing. Christmas tree-shaped sugar cookies are ideal for any holiday party. Classic sugar cookies get a festive spin when they are shaped like Christmas trees. Better Homes & Gardens suggested a method for preparing a batch the whole family will love. Beat together softened butter and shortening with an electric mixer. Next, beat in sugar, baking powder and salt. Then, add milk, vanilla and an egg before mixing in flour. Split the dough in half, cover and place in the refrigerator for an hour. Roll out on a floured surface. 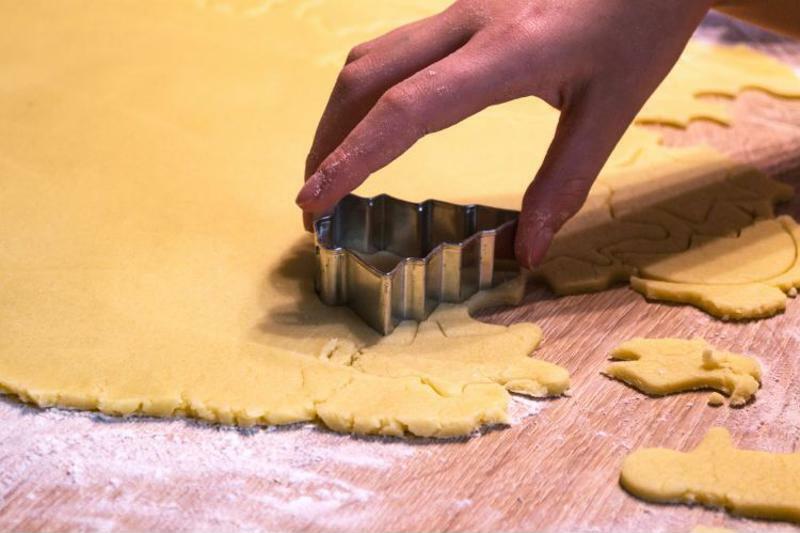 Use tree-shaped cutters to form the cookies. Set the cookies an inch apart from each other on a cookie sheet. Bake at 375 degrees for seven to nine minutes. Watch for the bottoms to turn light brown and the edges to become firm. Cool the cookies on wire racks before decorating with royal icing and sprinkles. Quality cookies and royal icing make for an irresistible holiday combination. Put what you learn from baking courses online to work by baking desserts that are worth a trip from the North Pole.